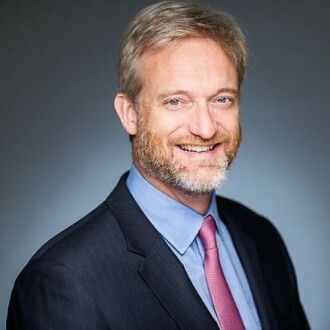 Lester Munson is a Principal in the International at BGR Group, a leading government relations firm in Washington, D.C., where he consults with foreign governments, corporations and advocacy groups. He also serves as adjunct faculty at Johns Hopkins University and speaks regularly on the foreign policy role of Congress and on U.S. foreign assistance issues. He is a member of the Executive Committee of the Modernizing Foreign Assistance Network, a Visiting Fellow at George Mason’s National Security Institute and a commentator on Fox News Channel and the China Global Television Network. Mr. Munson joined BGR Group in November 2015 after a 26-year career on Capitol Hill and in the Executive Branch. He was most recently Staff Director of the Senate Foreign Relations Committee, where he led policy, oversight, legislative and communications efforts for a staff of 25 and negotiated committee priorities with the White House, the State Department and Congressional leadership. Previously, Mr. Munson was Chief of Staff for Senator Mark Kirk of Illinois. During his tenure, Senator Kirk became the leading Republican voice in the Senate on Iran and other national security issues. During the Bush Administration, Mr. Munson served as Deputy Assistant Administrator at the U.S. Agency for International Development, where he focused on legislative affairs as well as global health issues. He led legislative efforts to develop and implement the President’s Emergency Plan for AIDS Relief (PEPFAR) and won an award for his contribution to the creation of the President’s Malaria Initiative. Mr. Munson is a 1989 graduate of the University of Chicago and holds a Master’s degree from St. John’s College in Annapolis. He is married with two children.